If you want to tell someone about things you have - or haven't - done, you'll need the present perfect tense. This is one of the most useful verb forms in English for talking about life experiences. And it's easy to get wrong, so we're here to help. Let's start by looking at some words we'll need to use it. When you're talking about your life experiences, are you going to pronounce every single word in a sentence like I have run a marathon? Well, if you want to sound fluent and natural when you speak, you're more likely to say I've run a marathon. I and have change to the shorter form I've - this is an example of a contraction. In 6 Minute Vocabulary Finn and Feifei help you learn this important part of speaking, and sometimes writing, in English. And we meet someone called Bill who says: "I've never been to New York." Today we're going to be talking about contractions, like I've meaning I have, or isn't meaning is not. We're going to talk about what these contractions mean, and how to pronounce them. That's right, and learning to use contractions like I've or isn't when you’re speaking will make your English sound much more fluent and natural. And finally we'll give you a tip to help you with your vocabulary studies. So, let's start with an example. Listen to Bill talking about his wife and his brother. While you're listening, try to answer this question: has Bill's brother ever visited the US? My wife and I live in London. We've been married for about five years. I've always lived in London, but she's lived in Germany, and the US, and lots of different places. I've never been to the US, but my brother's been there many times, because his wife is from New York. So, Feifei asked you: has Bill's brother ever visited the US? And the answer is yes, Bill's brother has been to the US many times, because his wife is American. She's from New York. Did you get the answer right? Of course you did! My wife and I live in London. We've been married for about five years. He said 'We've been married for about five years'. Did you notice that he didn't say we have been, he said we've been? When we're speaking, we often shorten the word have, and just say -ve instead. So I have becomes I've, you have becomes you've, we have becomes we've and they have becomes they've. We use contractions like we've a lot when we're speaking, but sometimes we write them, too - especially when we're writing something informal or unofficial, like an email or a postcard. Now, when you're writing contractions, remember to use an apostrophe. So, for example, we've is spelled w - e - apostrophe - v - e.
The apostrophe shows that a letter, or more than one, is missing. That's right, so when we write we've instead of we have, we miss the letters h and a from the word 'have'. And the apostrophe shows that these letters have been skipped. Right, ok. Here's another question about Bill. How many different places has his wife lived in? Can you remember? Here's a clip. I've always lived in London, but she's lived in Germany, and the US, and lots of different places. He said that she's lived in lots of different places. And he mentioned two of them: Germany, and the US. Did you notice another contraction there? Bill said she's lived. It's the short form of she has lived. She's lived. This is a very common one. Instead of has, lots of English speakers say -'s /z/ instead. So instead of he has we say he's, instead of she has it's she's. Again, when you use this -'s /z/ contraction instead of has when you're writing, don't forget to use the apostrophe. So, he's is spelled h - e - apostrophe - s, and she's is spelled s - h - e - apostrophe - s.
And now it's time for a quiz. Number one. When we're speaking, we don't normally say 'I have lived here for three years' - what do we say? We say, 'I've lived here for three years'. Here's another one: Which pronunciation is correct? Is it a) He's /s/ a teacher or is it b) He's /z/ a teacher? It's b) He's /z/ a teacher. And one last question. 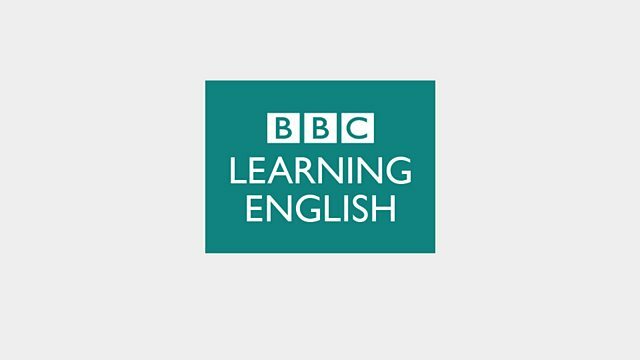 In the sentence We've been listening to 6 Minute Vocabulary, how do you spell we've? It's w - e - apostrophe - v - e.
That's it. Before we go, here's a top tip to help you learn vocabulary. Vocabulary learning isn't a silent activity! You'll learn words more effectively if you say them out loud. It doesn't matter if nobody's listening - say the words out loud anyway! Absolutely. Very good. There’s more about this at bbclearningenglish.com. Join us again soon for more 6 Minute Vocabulary. Bye! You can download 6 Minute Vocabulary from our Unit 11 Downloads page (size 8.3MB). Remember, you can also subscribe to the podcast version. We've discovered making a list of life experiences to achieve is a fun idea - and we've heard some examples of people using the present perfect tense to describe what they've done in their lives. In Session 2 we'll explain how to form present perfect sentences, so that you can talk about what you've done in your life. See you there!